The process of cleaning diapers, is perhaps not very funny. It’s yucky. If you’re anything like me, you might be hoping someone else (like your husband) will discover it and clean the diapers, particularly poopy diapers, before you have to. However, it’s become funny because some cloth diapers moms, have gotten ourselves addicted to it. 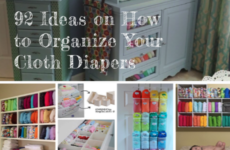 If you don’t cloth diaper, you may find it very funny but the process of buying new designs and prints is a lot of fun for cloth diapering moms and that’s why there are now so many cloth diaper memes about it. 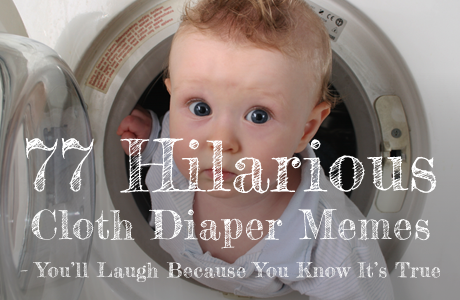 Just in this post, I have pasted 32 cloth diaper memes that are just about cloth diaper moms and their addition to buying new diaper cover prints. The ironic thing is that cloth diapering is cheaper than disposable diapering. But, as we buy more and more cloth diapers that we probably don’t need – just because it’s so cute – we’re probably not saving a ton. But, it’s fun and not really hurting anyone, right? What is rather funny, is that you know you shouldn’t be buying more and you know your husband would not approve, but you can’t stop yourself because they’re just so darn cute and your baby would look so adorable! Scroll down and have a good laugh but notice that I broke things down for you a little. 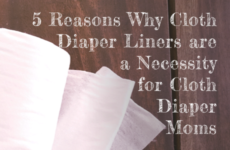 After our buying obsession with cloth diapers, there’s also 11 cloth diaper memes particularly about the general dislike some cloth diaper moms have for disposable diapers, plus 6 are about about washing cloth diapers. Finally, I have a 28 general cloth diaper memes. As I see more on Pinterest, I’ll keep adding. I hope you find this as funny as I did, in putting this together. 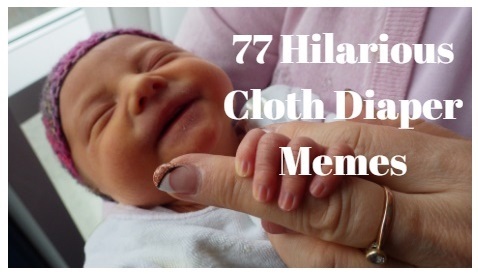 This has been my favorite blog to do and I can’t wait to come back and add more cloth diaper memes. Memes are great to read but they tend to go viral when people have a personal connection with them. This cloth diaper memes collection is great because they speak the truth of our cloth diaper moms feel.